You don’t need to travel far to the East Coast of the States for the Indian Summer), a term used for describing a sunny and clear autumn season with temperatures above normal. 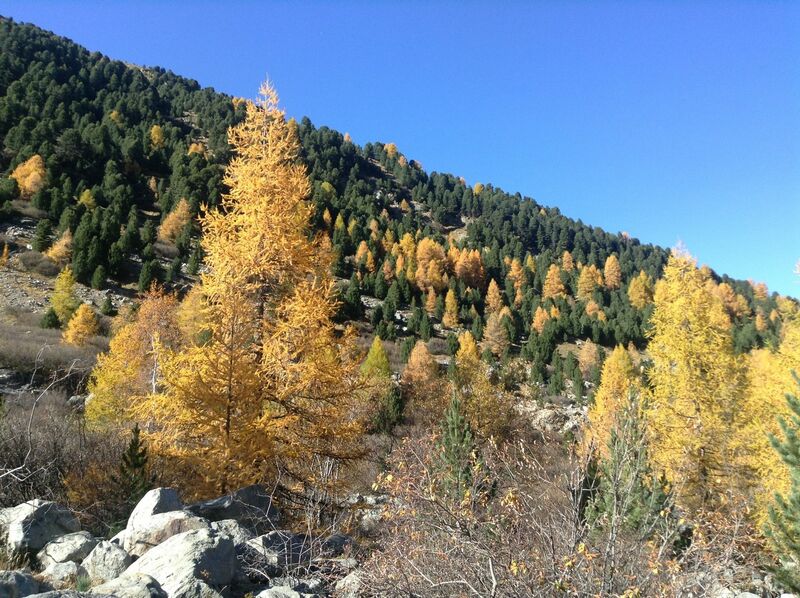 Normally the Indian summer lasts from mid-September to the first snowfall. In Belgium, there doesn’t exist such a wonderful period of the year. 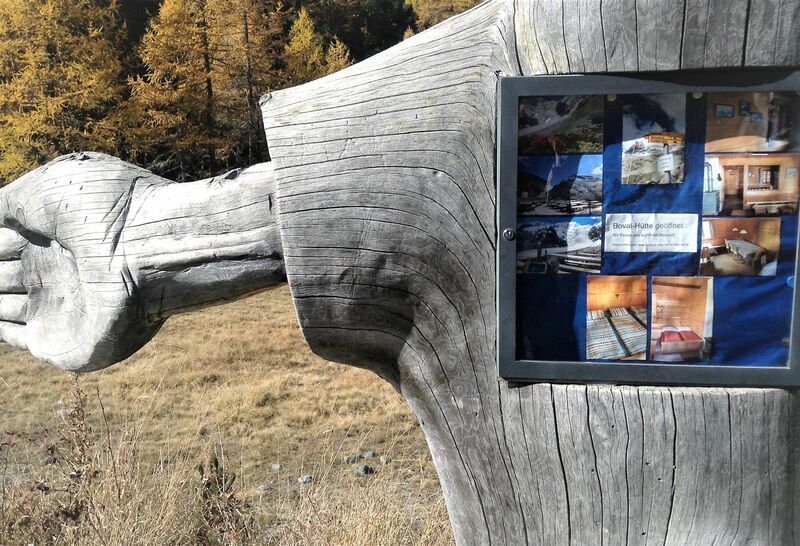 Thought it only occurs somewhere Northern America, I was surprised to find it also in the Swiss Engadine. To get to the the receding Morteratsch Glacier, @liflorence and I trekked through the Pontresina Valley for around one hour. 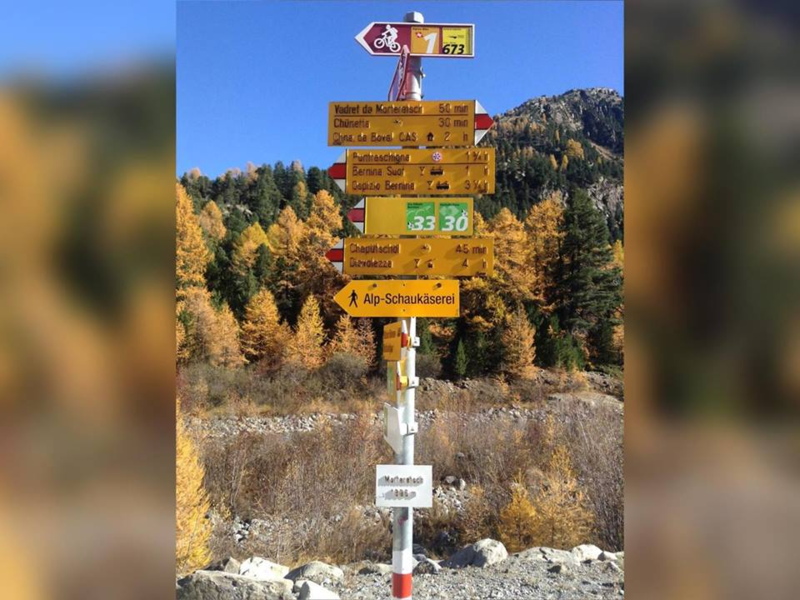 Along the Morteratsch glacier trail, we absolutely enjoyed the best autumn colors. 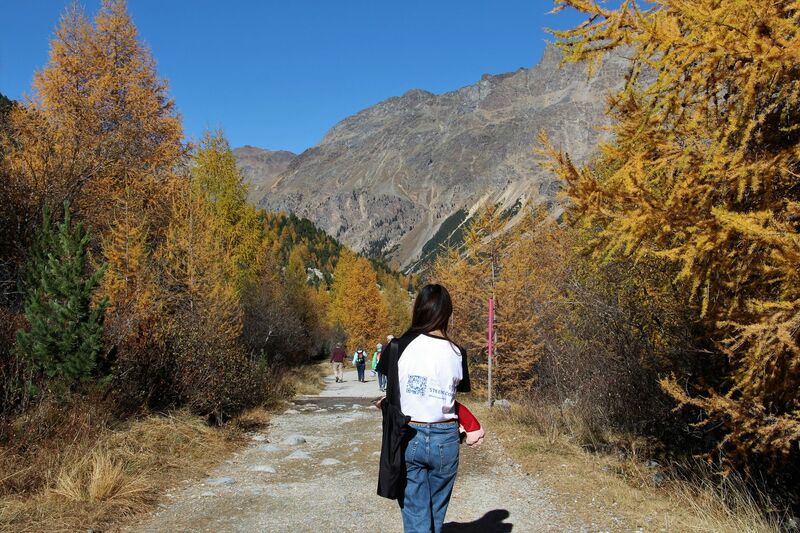 The area is also great for hiking and saunas if you are interested in other activities. 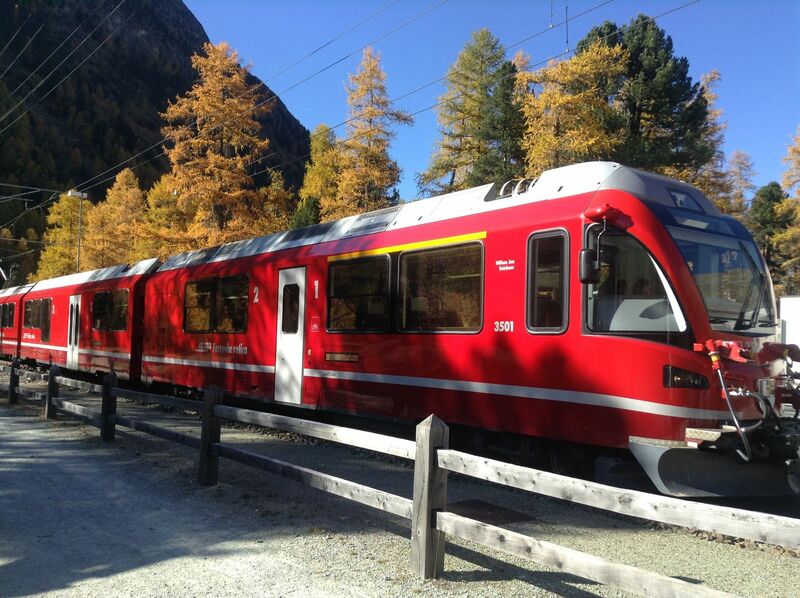 To get to Morteratsch, the closest train station from Pontresina Valley, we had to switch twice the train from Thalwil. The journey was in total around 4 hours. 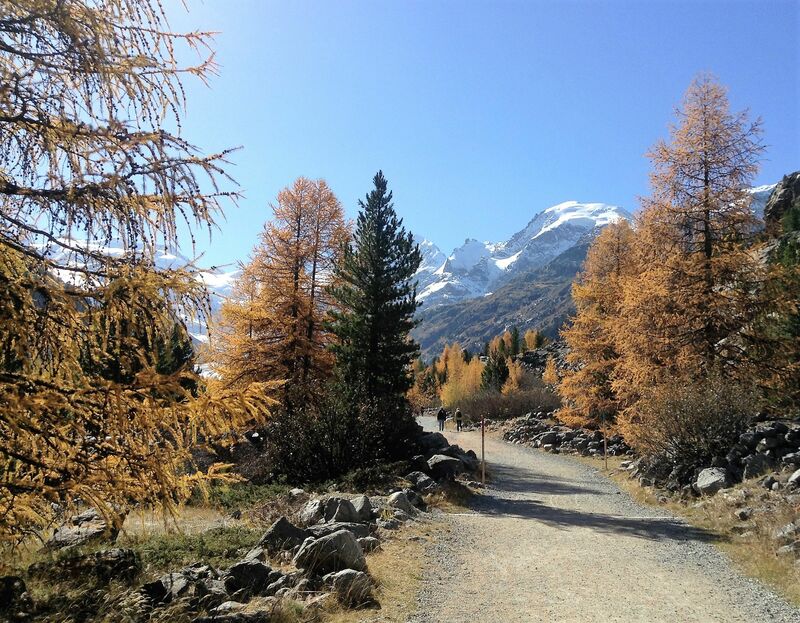 If you can get up early, it is manageable for a day trip from Zurich area, otherwise consider take an accommodation in Pontresina area. We had a short stopover at St Moritz where you take a look at the beautiful St Moritz lake just next to the station. The view near the lake was just stunning. Who says Switzerland has to be expensive? 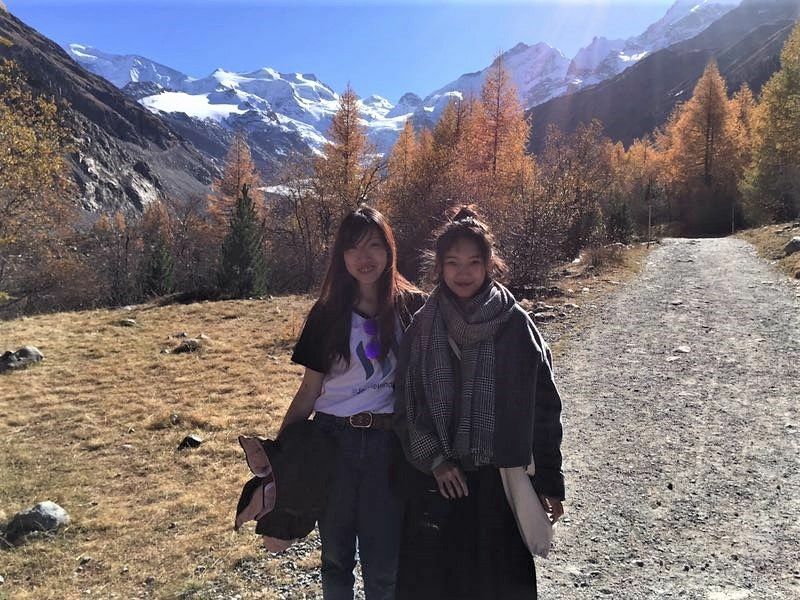 Actually except for the mountain resorts, there are also many other cheaper accommodation options, such as those simpler mountain huts that exist in many mountain area in Switzerland. 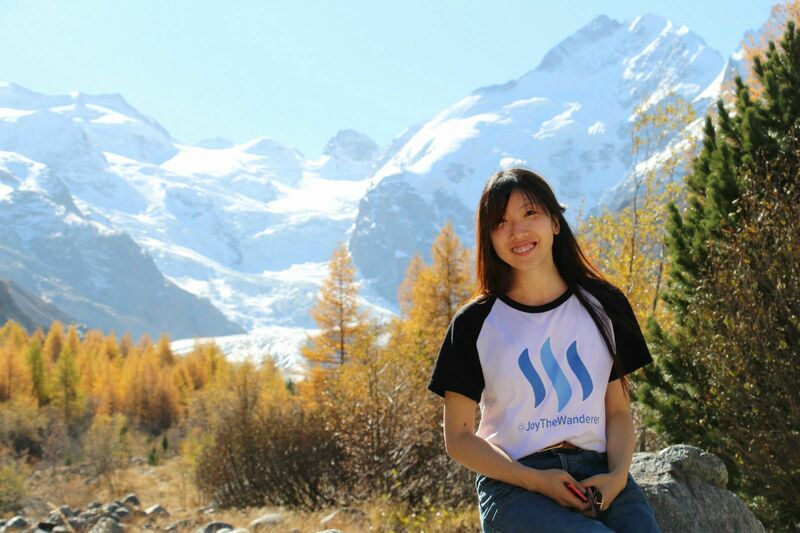 @liflorence is an expert on this, if you plan to travel in Switzerland, feel free to reach her here. Loved this piece of wildness here in the valley. Pure nature. It was a timeless and beautiful journey through the valley. 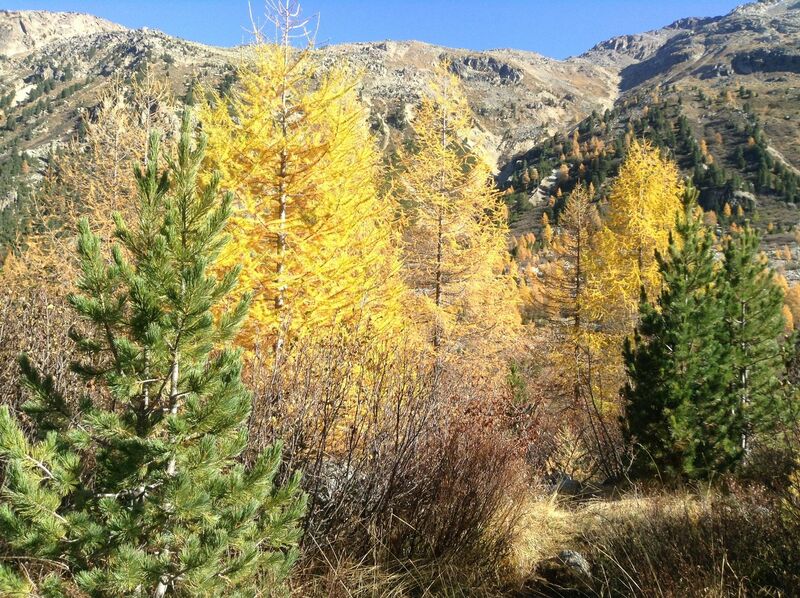 There can not be any better time to visit Pontresina than in the autumn. 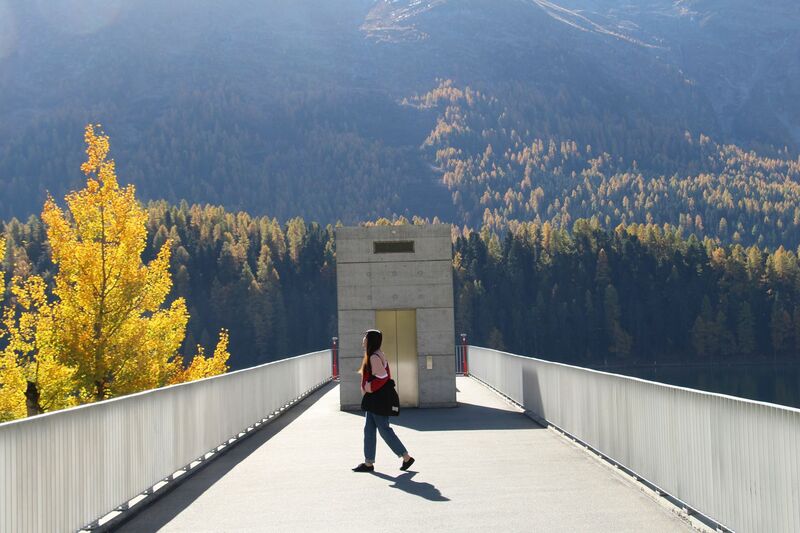 Many locals say that Morteratsch in the autumn time is one of the most beautiful in Switzerland. I can see it is totally true. 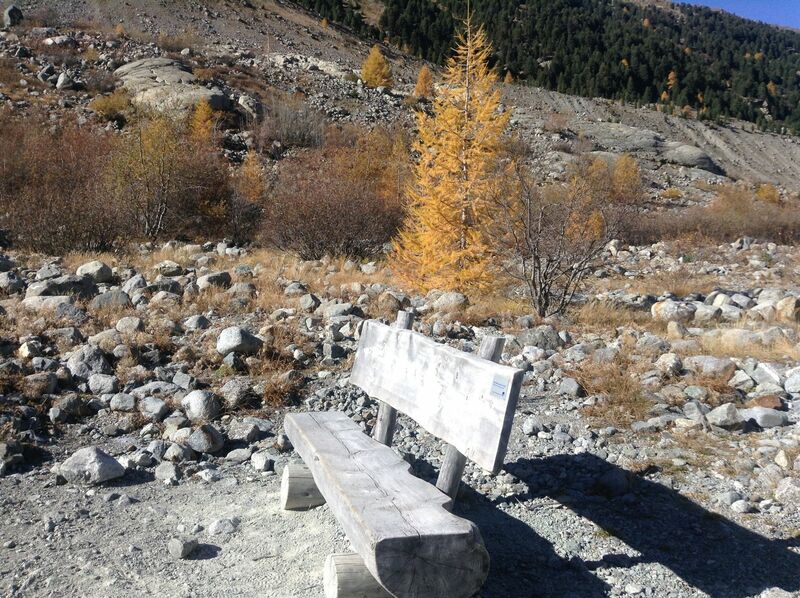 The colours in the valley were so warm and vibrant. 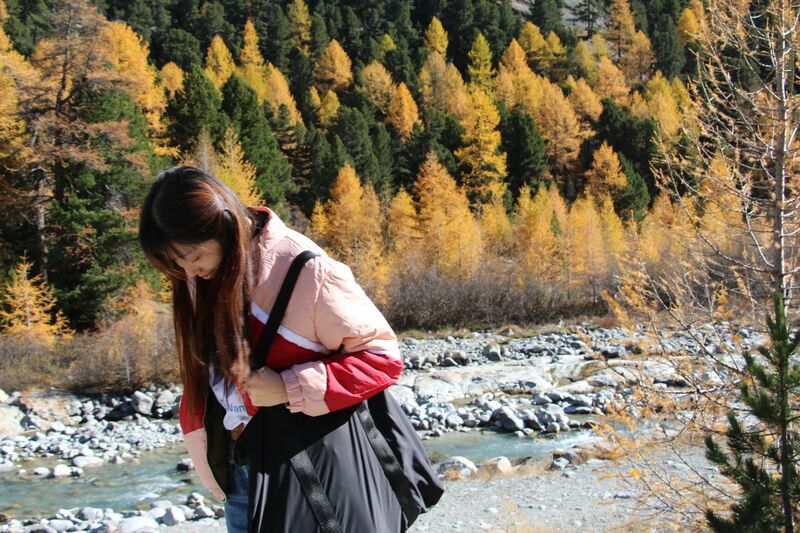 Here you can enjoy the real beauty of the season. Shoutout to @liflorence for showing me this beautiful area.